From the moment Teach and Anne meet, they set the world ablaze. Drawn to each other, they’re trapped by society and their own circumstances. Faced with an impossible choice, they must decide to chase their dreams and go, or follow their hearts and stay (goodreads). Blackhearts charmed me from the first page. 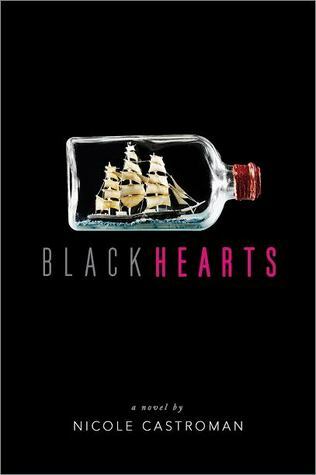 Plot: Blackhearts is a beautiful novel that explores two characters desperate to escape their societal limitations. I've seen complaint that this book doesn't feature any pirates despite being about Blackbeard and that it was a slower paced read, but that's what made this book so endearing to me. This book has a subtle charm that explores the journey instead of the destination (swashbuckling pirates), so if you're a reader who prefers character growth and exploration over high-speed action - this one is for you. I'm so happy to hear that the publisher green-lighted a sequel because while it is an origin story, I do think there is much much more to this story than what Blackhearts has given us. Characters: Blackhearts' soul is within the characters that Castroman introduces. I immediately fell in love with the fiery Anne - the daughter of an English merchant and West Indes slave - who is forced to accept her lower status based solely on her skin tone. 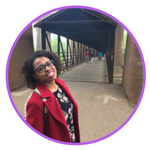 I connected with her because she was a young woman trying to survive in an environment that made it obvious that she didn't belong. I read Castroman's author note about Anne and I loved how she used her family's experience to help craft Anne's turmoil of finding a place that felt like her own. If you couldn't tell, I really loved Anne, this is why representation matters people! Our dashing Blackbeard, or Teach, took some time for me to warm up to because he was just so forward. While this is Teach's story, I found this to be Anne's story more than anything, but I'm excited to see more of Teach's transformation into Blackbeard in Blacksouls. Worldbuilding: In the author's note, Castroman remarked that she enjoys history and it truly showed in how she sculpted this world. I felt right at home in the posh setting of Teach's home and I could vividly picture the crowded markets and unsavory docks. Not only that, but she made a point to highlight race relations in England and how these mixed-race offspring were treated. I really respect Nicole Castroman for the amount of detail she put into not only her world but in the interactions between characters and their thought process. Everything felt respectful and deliberate. 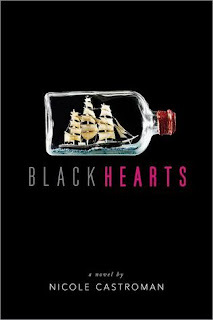 Short N Sweet: Blackhearts can only be described as a "slow burn." It's a wonderful journey with some of the best characters I've read in a while.